It’s pretty obvious I haven’t been too inspired lately… otherwise I would have posted something more last month. I call it “Spring String”. It’s my first string quilt… the possibilites are endless when it comes to string quilts, I have a feeling I’ll be making more of them. 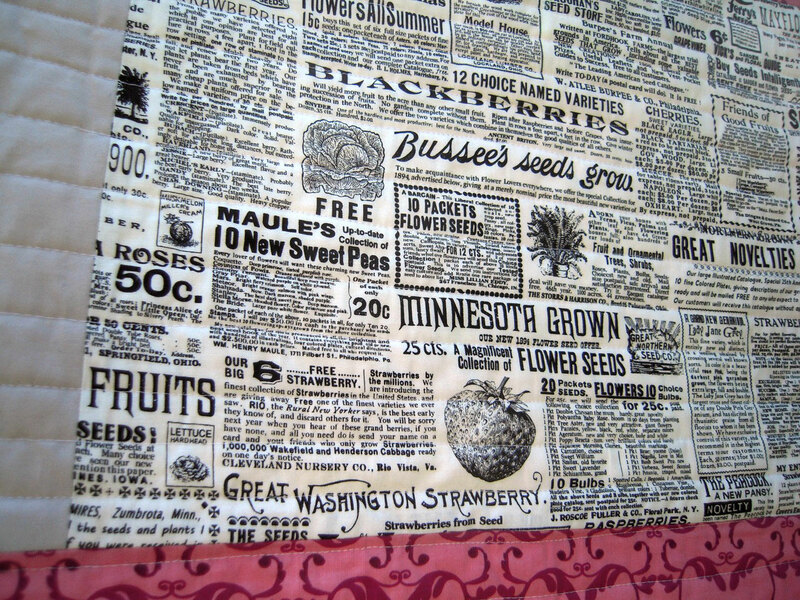 It’s a foundation paper method and I used newsprint as the paper that I stitched to. I made my stitches small so the paper tore out easily. This was a fun quilt for me to sew, the back even more so than the front. My husband just printed a label for me to sew on, so it’s almost finished. I’m happy to be done with this quilt, and I’m trying to finish up a few projects in the sewing room before I pack it all up. Yep… we’re definitely moving, still unsure as to where ~ staying positive that this will be a change for the good and trying to get ready for it. Thanks for all your support! 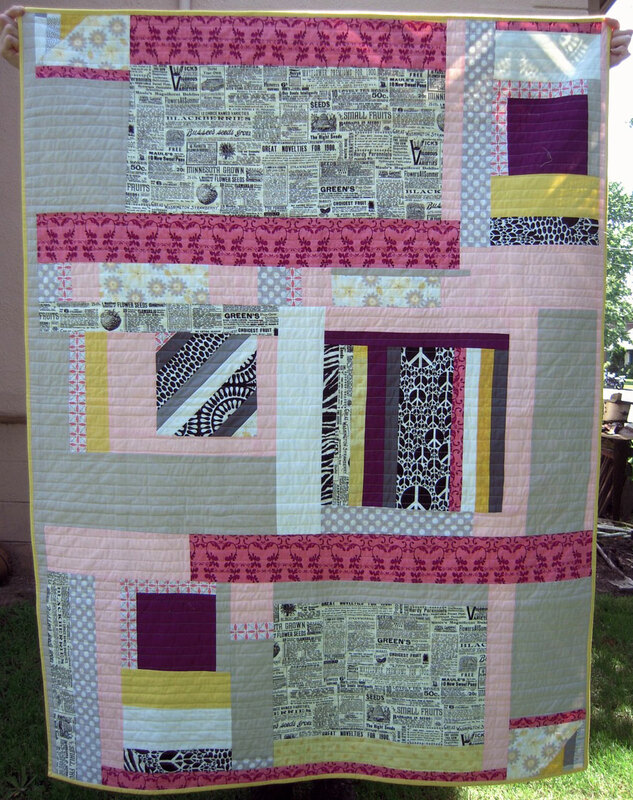 Gail, I love your colorful, dynamic quilt! Your friend in Minnesota is oh-so-lucky! Sending positive thoughts your way regarding the pending move. . .
AH! This is gorgeous!! Good luck with the happy busy time Gail. 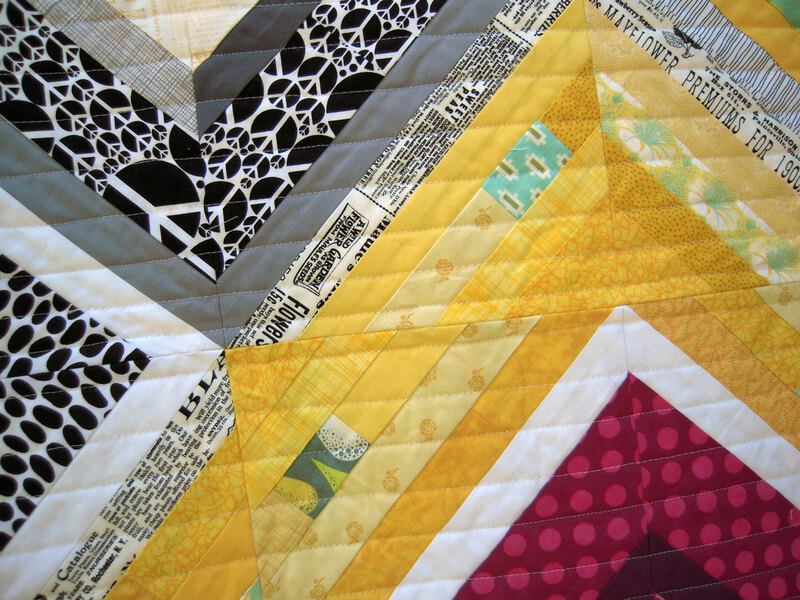 Man do I love your quilts! I can also relate to a life of health challenges and living with pain. I’m sorry for me and for anyone else in that situation. 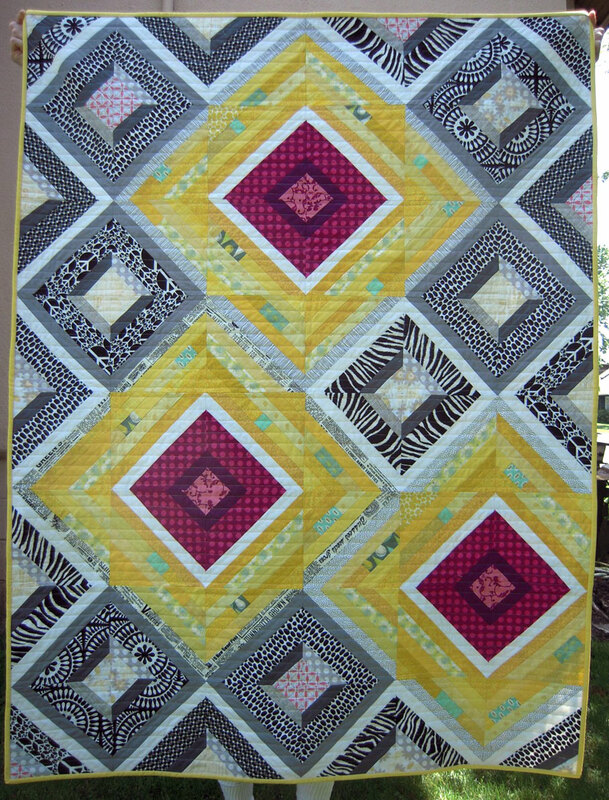 I recently discovered your Spring Strings lovely quilt and I want to try to make one. Is there a pattern? Next PostNext A New Beginning!